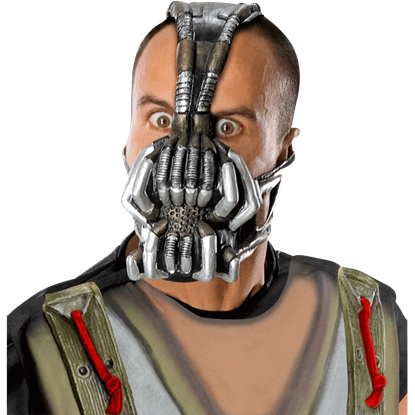 Born in a prison under a society ruled by a corrupt government, Bane spent his formative years training his mind and body to peak human condition. Haunted by nightmares of a monstrous bat creature, Bane hears of Batman and seeks to destroy him. This supervillain, enhanced with an experimental drug called Venom, was featured prominently in the 2012 film The Dark Knight Rises, boosting his recent popularity. 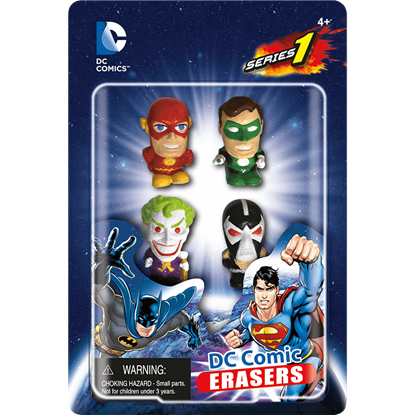 For all things Bane inspired, look no further than Superheroes Direct. 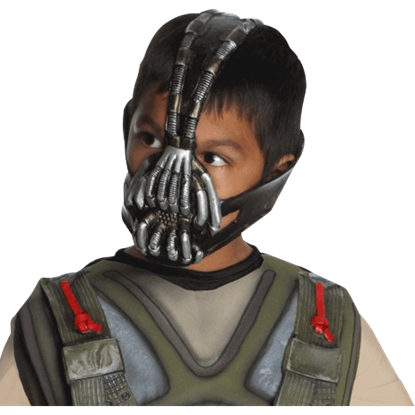 We offer Bane costumes and masks in both children and adult sizes, as well as t-shirts featuring his iconic mask symbol and emblazoned with graphics pulled straight from the comics and film. 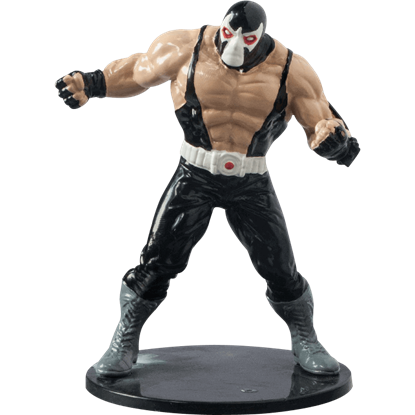 Our figures, statues, and more all make the perfect gift for any fan of Bane or addition to a Batman rogues gallery collection. 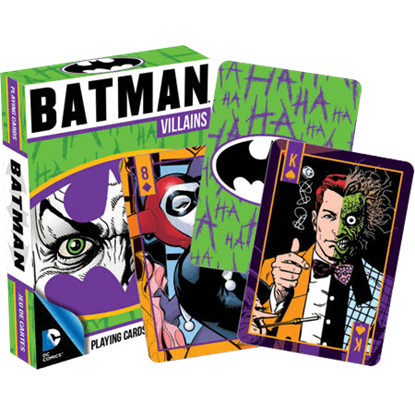 Given super-strength and other abilities by the chemical Venom, Bane remains determined to create his own criminal empire. 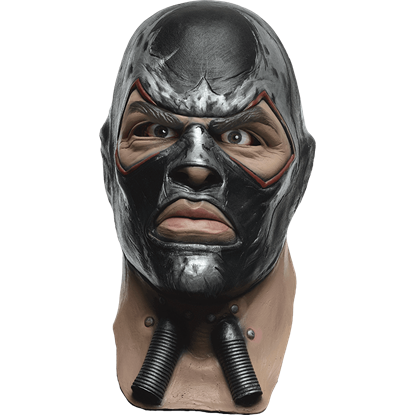 The Arkham Bane Deluxe Latex Mask makes a great start for building your own Bane costume this Halloween. Along with his voice-altering mask, the military-style uniform worn by Bane in the Dark Knight trilogy aids in his sinister, brutal appearance. 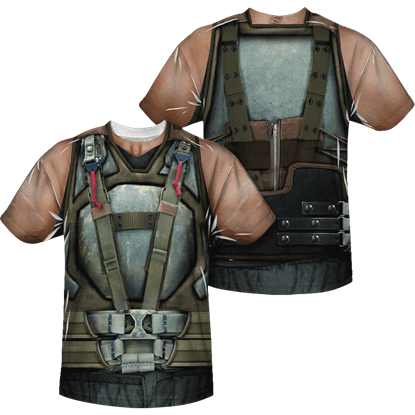 Implement this uniform into your daily style with the Bane Suit Wraparound T-Shirt! Bane is endowed with a lethal mixture of immense strength and intelligence, giving him the reputation as the only villain to have ever broken Batman. 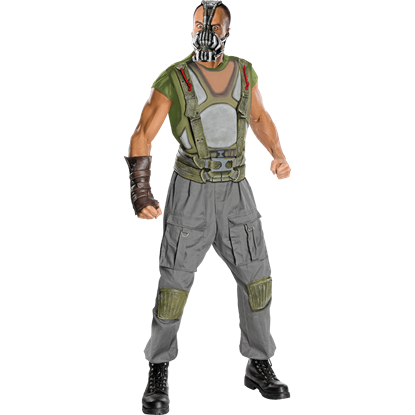 Add a touch of terror to your comic themed display with the DC Villain Bane Statue! Do you have a hard time deciding on your favorite comic character? 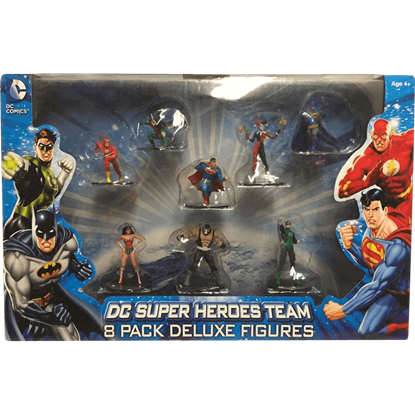 Well now there is no need to make that decision, as this Deluxe DC Comics 8 Piece Figure Set includes all of the classics for a spectacular all-inclusive collection. 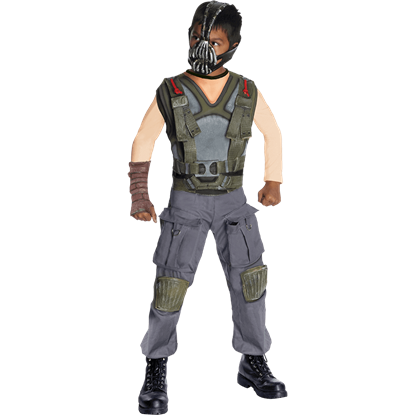 The Dark Knight Rises features the villainous character Bane as the strong and intelligent man that he is within the Batman comics. 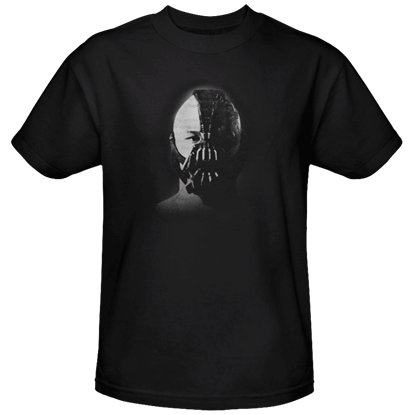 Display his visage from this film representation with The Dark Knight Rises Bane T-Shirt.